An exploration of everything the countryside means to us, from a hundred years of the Telegraph’ s archive. The Telegraph is, as its former editor Max Hastings identified, more than any other national broadsheet the newspaper of the countryside, which over the years has been written about in its pages by such distinguished writers as J.H.B. Peel, John Betjeman and W.F. Deedes, alongside eminent modern naturalists like Richard Mabey and even unlikely proponents of the rural life like Boris Johnson. 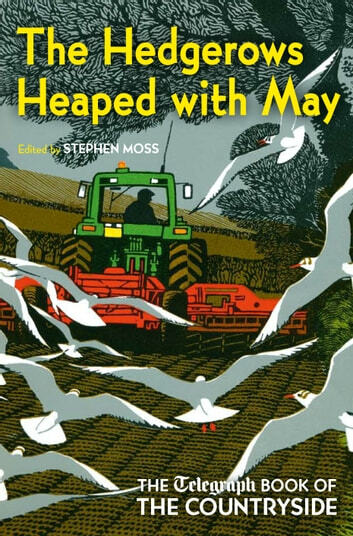 This anthology is no bland celebration of bucolic idyll, but rather an exploration of everything that the countryside represents to the British. For some it means the reintroduction of long-lost wildlife such as the red kite, or ancient crafts like thatching. For others it means jouncing along a green lane in a four-wheel-drive Range Rover. To the Prince of Wales, his new town of Poundbury is the countryside while subjects as diverse as crop circles, second homes, Mad Cow Disease and polytunnels are all flashpoints in the modern debate about what, and who, the countryside is for. Hugely varied, by turns funny and provocative, this is an essential exploration of a central aspect of our national identity. Counting My Chickens . . .